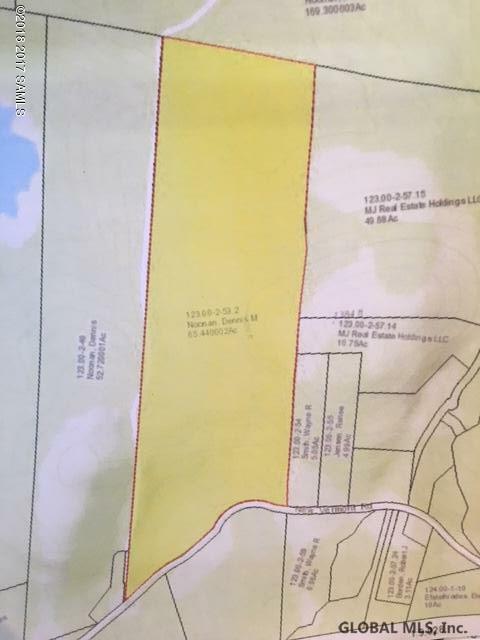 Beautiful wooded 65 acres with lots of privacy, possibility for a small subdivision, 3 acre and 45 acre zoning, great road frontage, trails for snowmobiles, four wheelers and hiking, easy access to County Rt 11 and Northway or town of Bolton, lake, shops, beach & restaurants. Water and septic are buyers costs. Hasn't been timbered in 15+ years.